A toothache is a miserable experience, especially if swelling, drainage, and bad breath accompany it. Luckily, root canal therapy from Comprehensive Dental Group in Stamford, CT, can eliminate the pain safely and allow you to keep your tooth! Your dentists, Dr. Irina Pogosian and Dr. Thomas Ohlson, keep smiles intact and healthy through this treatment—read on to learn more! Root canal therapy treats a tooth's interior pulp when it's become inflamed or infected due to injury, decay, etc. During an appointment at our Stamford practice, your dentist will X-ray and inspect your tooth, along with the surrounding gums and bone. If Dr. Pogosian or Dr. Ohlson determines that the tooth is viable, you'll undergo a comfortable, two-visit procedure right here at Comprehensive Dental Group. To begin, your dentist will inject the area around the tooth with local anesthetic. When the tooth is numb, they will create a small opening in the tooth to access the root canals. That's where the blood vessels, nerves, and connective tissue reside. 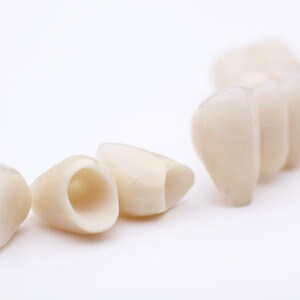 The dentist then removes the pulp with specialized tools, before smoothing and disinfecting each canal (there are up to four in a single tooth), and sealing them with biocompatible gutta-percha. 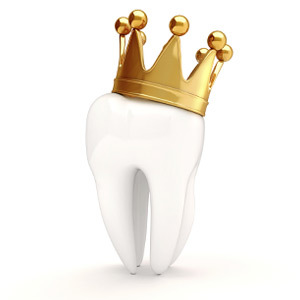 After each canal is treated, a temporary crown covers the tooth so that it can heal. In a week, you'll have your second treatment. 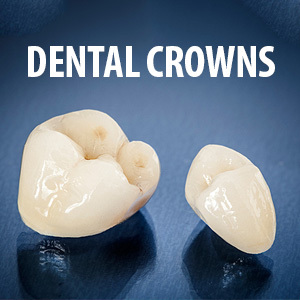 Here, Dr. Ohlson or Dr. Pogosian removes the temporary cap and installs a custom-fabricated crown made of premium-grade ceramic. Your restored tooth will look, feel, and act perfectly natural—no more pain! The American Association of Endodontists says that you'll likely keep your tooth for the rest of your life. That's how successful root canal therapy is! Just brush twice a day with a quality toothpaste, and carefully floss around your treated tooth to avoid plaque and tartar build-up. See your dentist at Comprehensive Dental Group in Stamford every six months for a complete check-up and hygienic cleaning. Don't suffer from toothache pain when your friends at Comprehensive Dental Group can save that tooth and make you feel better! Call us today at (203) 359-3296.